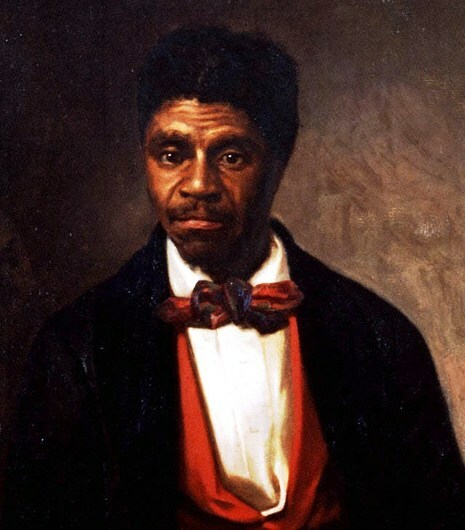 Dred Scott v. Sandford, aka "Dred Scott Decision"
Dred Scott v. Sandford, commonly referred to as the Dred Scott decision, was a ruling by the U.S. Supreme Court that people of African descent imported into the United States and held as slaves (or their descendants, whether or not they were slaves) were not protected by the constitution and could never be U.S. citizens. The court also held that the U.S. Congress had no authority to prohibit slavery in federal territories and that, because slaves were not citizens, they could not sue in court. Lastly, the Court ruled that slaves, as chattels or private property, could not be taken away from their owners without due process. The Supreme Court's decision was written by Chief Justice Roger B. Taney. The first observation we have to make on this clause is, that it puts at rest both the questions which we stated to have been the subject of differences of opinion. It declares that persons may be citizens of the United States without regard to their citizenship of a particular State, and it overturns the Dred Scott decision by making all persons born within the United States and subject to its jurisdiction citizens of the United States. In March of 1857, the United States Supreme Court, led by Chief Justice Roger B. Taney, declared that all blacks -- slaves as well as free -- were not and could never become citizens of the United States. The court also declared the 1820 Missouri Compromise unconstitutional, thus permiting slavery in all of the country's territories.